Most of the major catastrophes we read about, think about and worry about are natural occurrences: hurricanes, floods, earthquakes, volcanic eruptions. But man-made catastrophes do their own share of damage. When they strike, they often grab their own share of attention. The 9/11 terrorist attack stands as one of the largest insurance catastrophes in history – not to mention its far more devastating human impact. But most man-made catastrophes are smaller in scale compared to what mother nature can deliver. They can also stay under the radar, without headlines, without clear cause and effect, without a clearly defined impact. They can be harder to trace and harder to quantify. When an earthquake strikes, the resulting damage is apparent and the cause and effect are obvious. Not always so with man-made events. 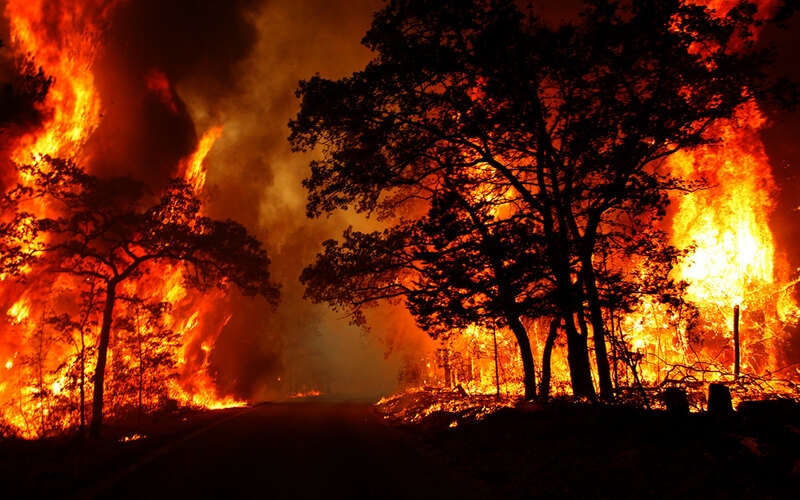 Case in point: in 2015, forest fires and resulting haze in Southeast Asia were unusually widespread and extreme, and researchers this week released a study finding an incredible death toll: “The forest fire and haze disaster in Southeast Asia last year may have led to the deaths of more than 100,000 people,” the New York Times reported. “The vast majority of the cases were in Indonesia, where fires were deliberately set to clear land for agriculture.” In 2015, the Indonesian government claimed only 19 of its citizens had perished due to the fires and haze. The report released this week finds a much higher figure: 91,600 in Indonesia alone. Across Indonesia, fires are frequently used to burn agricultural residue, clear forest, or prepare land for plantations and smallholder farms. . . . Fire emission levels are greatest from degraded peatlands, especially in dry years (Marlier et al 2015a, 2015b). In 2006, burning in industrial concessions to clear land for oil palm and timber plantations accounted for ~40% of total fire emissions in Sumatra and ~25% in Kalimantan (Indonesian Borneo) (Marlier et al 2015c). The degraded peatlands that typically burn during such episodes contain significant combustible organic material and so release large amounts of fine particulate matter (PM2.5), the leading cause of global pollution-related mortality (World Health Organization 2009, Lelieveld et al 2015). As in previous episodes, the prevailing winds in 2015 transported the smoke to densely populated areas across Indonesia and the Malay Peninsula, including Singapore and Kuala Lumpur. Did most of us hear, in 2015, about the fires, the smoke, and the heavy presence of deadly particulate matter in population centers in Southeast Asia? Did we hear that deaths were mounting, in the tens of thousands and as many as a hundred thousand? No. Nor, apparently, was that reality recognized anywhere before the release of the study in Environmental Research Letters. Similarly, the predictions of dire consequences for life and property as a result of Climate Change relate not only to high profile catastrophic events – like stronger and more frequent hurricanes – but to the more insidious long-term effects, including slowly rising seas, widespread droughts, and extremes of temperature, all of which cause death and damage that are not as visibly and obviously connected to the “catastrophe.” But to the victims, the results are just as final.